摘要 本文基于弱各向异性（WA）介质的正反演公式和qP波的坐标变换，推导了利用qP波反演任意倾斜对称轴的横向各向同性（TTI）介质的各向异性参数和对称轴方向的公式.理论和数值实验表明，利用2个相互正交的变井源距垂直地震剖面（walkaway VSP）可以完全确定钻井中TTI介质qP波的3个WA参数和对称轴的2个方向参数.我们完成了几个由不同数量剖面组成的walkaway VSP模拟实验，使用TTI模型和一般各向异性模型对模拟数据进行了反演，证明了反演公式的正确性和可靠性.使用这些公式，对来自Java Sea的由3条剖面组成的walkaway VSP观测数据进行了各向异性反演，获得了钻井中接收点处介质的WA参数. Abstract：Based on the forward and inverse formulae and coordinate transformation of qP waves in a weakly anisotropic (WA) medium, we derived inversion formulae of anisotropic parameters and symmetric axis direction of TTI (transversely isotropic medium with tilted symmetric axis) medium for qP waves. Both the theory and numerical experiment verify that three independent WA parameters and symmetric axis direction of the TTI medium for qP waves can be completely determined by using a walkaway VSP with two perpendicular profiles. We carried out a simulated walkaway VSP experiment with different numbers of profiles. The TTI model and general anisotropic model were used to invert the data in the experiment. The results show that the derived formulae are correct and reliable. Then a real walkaway VSP observation data from the Java Sea region were inverted, and WA parameters and symmetric axis direction of the TTI medium were obtained by using the derived formulae. Arts R J, Helbig K, Rasolofosaon P N J. 1991. General anisotropic elastic tensor in rocks:Approximation, invariants, and particular directions.//61st Annual International Meeting, SEG. Expanded Abstracts, 1534-1537. Crampin S. 1985. Evaluation of anisotropy by shear-wave splitting. Geophysics, 50(1):142-152. Crampin S, Volti T, Stefánsson R. 1999. A successfully stress-forecast earthquake. Geophysical Journal International, 138(1):F1-F5. Gaiser J E. 1990. Transversely isotropic phase velocity analysis from slowness estimates. Journal of Geophysical Research:Solid Earth, 95(B7):11241-11254. Gajewski D, Pšeník I. 1990. Vertical seismic profile synthetics by dynamic ray tracing in laterally varying layered anisotropic structures. Journal of Geophysical Research:Solid Earth, 95(B7):11301-11315. Gao Y, Teng J W. 2005. Studies on seismic anisotropy in the crust and mantle on Chinese mainland. 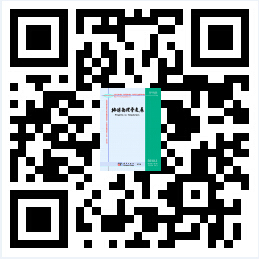 Progress in Geophysics (in Chinese), 20(1):180-185. Gomes E, Zheng X, Pšeník I, et al. 2004. Local determination of weak anisotropy parameters from walkaway VSP qP-wave data in the Java sea region. Studia Geophysica et Geodaetica, 48(1):215-231. Horne S A, Leaney W S. 2000. Polarization and slowness component inversion for TI anisotropy. Geophysical Prospecting, 48(4):779-788. Jech J, Pšeník I. 1989. First-order perturbation method for anisotropic media. Geophysical Journal International, 99(2):369-376. Liu X B, Zheng X Y. 2013. Calculation of weakly anisotropic parameters by slowness and polarization vectors of qP wave. Acta Seismologica Sinica (in Chinese), 35(2):184-198. Pšeník I, Gajewski D. 1998. Polarization, phase velocity and NMO velocity of qP waves in arbitrary weakly anisotropic media. Geophysics, 63(5):1754-1766. Teng J W, Zhang Z J, Wang A W, et al. 1992. The study of anisotropy in elastic medium:evolution, present situation and questions. Progress in Geophysics (in Chinese), 7(4):14-28. Thomsen L. 1986. Weak elastic anisotropy. Geophysics, 51(10):1954-1966. Tian X, Hong Q Y, Zheng X Y. 2015. Seismic anisotropic inversion of multiple walkaway VSPs. Acta Seismologica Sinica (in Chinese), 37(2):266-277. Zhang Z J. 2002. A review of the seismic anisotropy and its applications. Progress in Geophysics (in Chinese), 17(2):281-293. Zheng X Y. 2004. Inversion for elastic parameters in weakly anisotropic media. Geophysical Journal International, 159(3):1077-1089. Zheng X Y. 2007. Identification of the symmetry planes in weakly anisotropic elastic media. Geophysical Journal International, 170(1):468-478. Zheng X, Pšeník I. 2002. Local determination of weak anisotropy parameters from qP-wave slowness and particle motion measurements. Pure and Applied Geophysics,159(7-8):1881-1905. Zheng X Y, Tomaskova A. 2004. Inversion of travel times in weakly anisotropic rock samples. Pure and Applied Geophysics, 161(8):1709-1724. 高原, 滕吉文. 2005. 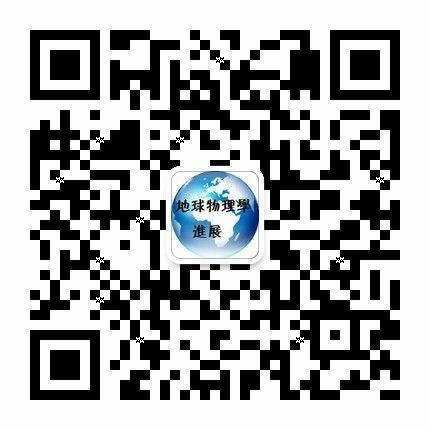 中国大陆地壳与上地幔地震各向异性研究. 地球物理学进展, 20(1):180-185. 刘宪彬, 郑需要. 2013. 利用qP波慢度和偏振矢量计算弱各向异性介质参数. 地震学报, 35(2):184-198. 滕吉文, 张中杰, 王爱武等. 1992. 弹性介质各向异性研究沿革、现状与问题. 地球物理学进展, 7(4):14-28. 田鑫, 洪启宇, 郑需要. 2015. 多测线变偏移距VSP地震各向异性反演. 地震学报, 37(2):266-277. 张中杰. 2002. 地震各向异性研究进展. 地球物理学进展, 17(2):281-293. 孙伟家, 符力耘, 魏伟, 林羿, 唐清雅. 中国东部地区的壳-幔过渡带结构[J]. 地球物理学报, 2018, 61(3): 845-855. 李晗, 姚振兴. 基于“剪切+张裂”一般位错模型频率域求解微震震源机制[J]. 地球物理学报, 2018, 61(3): 905-916. 荣棉水, 符力耘, 李小军. 基于单台加速度记录的混合全局优化HVSR反演场地浅层速度结构[J]. 地球物理学报, 2018, 61(3): 938-947. 王赟, 杨春, 芦俊. 薄互层弹性波反演面临的困境[J]. 地球物理学报, 2018, 61(3): 1118-1135. 王彦飞, 唐静, 耿伟峰, 王成祥. 带粒子滤波约束的PP-PS联合反演的稀疏解算法[J]. 地球物理学报, 2018, 61(3): 1169-1177. 杨培杰. 砂泥岩储层孔隙度和含水饱和度同步反演[J]. 地球物理学报, 2018, 61(2): 673-682. 潘新朋, 张广智, 印兴耀. 岩石物理驱动的储层裂缝参数与物性参数概率地震反演方法[J]. 地球物理学报, 2018, 61(2): 683-696. 殷长春, 孙思源, 高秀鹤, 刘云鹤, 陈辉. 基于局部相关性约束的三维大地电磁数据和重力数据的联合反演[J]. 地球物理学报, 2018, 61(1): 358-367. 叶秀薇, 邓志辉, 黄元敏, 刘吉平, 王小娜, 刘锦, 谭争光. 新丰江水库中上地壳P波三维速度结构特征及库水的渗透影响[J]. 地球物理学报, 2017, 60(9): 3432-3444. 邵炜栋, 杨锴, 邢逢源, 熊凯, 薛颖飞. 慢度平方三角网格立体层析反演方法[J]. 地球物理学报, 2017, 60(9): 3574-3586. 高级, 张海江, 方洪健, 李楠. 一种高效的基于交叉梯度结构约束的三维地震走时与直流电阻率联合反演策略[J]. 地球物理学报, 2017, 60(9): 3628-3641. 陈卫营, 李海, 薛国强, 陈康, 钟华森. SOTEM数据一维OCCAM反演及其应用于三维模型的效果[J]. 地球物理学报, 2017, 60(9): 3667-3676. 李若曦, 雷久侯. 基于经验模式给定热层温度对热层大气密度反演影响的评估[J]. 地球物理学报, 2017, 60(8): 3015-3022. 郑伟, 许厚泽, 李钊伟, 吴凡. 联合串行式和钟摆式卫星编队精确建立下一代HIP-3S地球重力场模型[J]. 地球物理学报, 2017, 60(8): 3051-3061.